The Mortimer Rare Book Collection houses the college's rare books and literary manuscripts. Broad in scope, it includes works from all time periods and in subject areas as diverse as ancient history and zoology. Among the highlights of the collections are the papers of Sylvia Plath and Virginia Woolf. See Rare Books & Literary Archives collections for a list of major holdings. The Mortimer Rare Book Collection contributes to Digital Scriptorium, a Mellon-funded project that makes available digital facsimiles of medieval manuscripts. 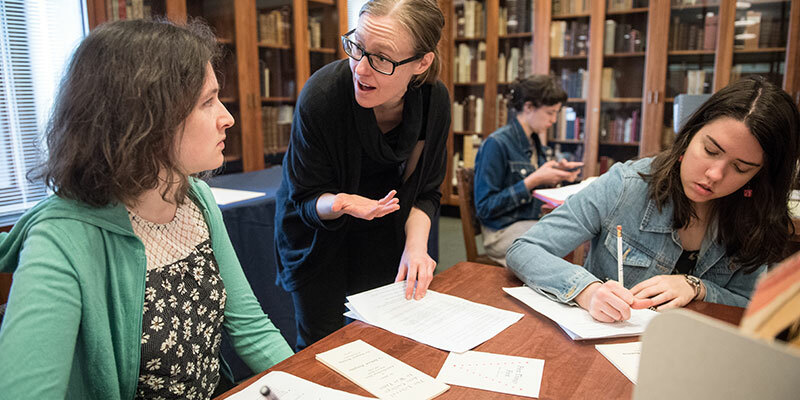 The project is an free, international tool for teaching and scholarly research on pre-modern manuscripts. The manuscripts, digitized from local repositories including those held by the libraries and museums of the Five Colleges consortium, are accessible in their entirety. The project involves undergraduate and graduate students to study, scan and catalog the manuscripts.